From Mariah Stewart, New York Times bestselling author of The Chesapeake Diaries series, comes the next book in her popular Hudson Sisters series, which follows a trio of reluctant sisters who set out to fulfill their father’s dying wish and discover themselves in the process in this “sweet reminder of the importance of family” (First for Women). "A wonderful conclusion to what's been an amazing series." "Highly recommend this series for WF fans and even romance fans, there’s plenty of that sweet, small town romance to make you swoon a little." "I’m missing my friends in Hidden Falls already." 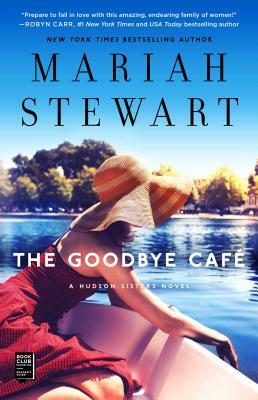 "Author Stewart not only builds a small town where I wish I could live, she allows us into the hearts of these three sisters, Nikki, and their aunt, Barney.... The characters will charm your socks off! Thematic and highly entertaining."